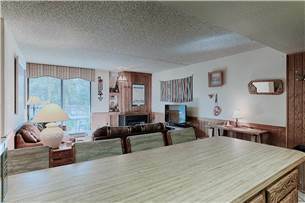 Ski-in/ski-out 1bd condo! 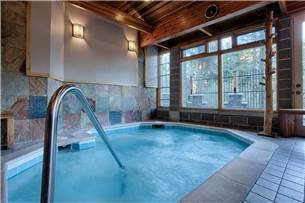 Perfect location, hot tubs, garage parking! 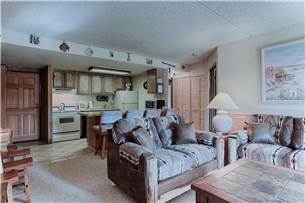 Enjoy the convenience of this wonderful Ski-in/out unit! 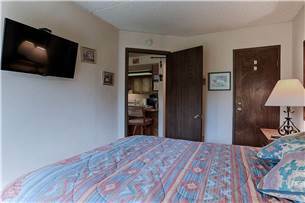 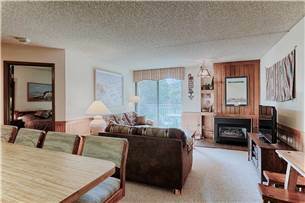 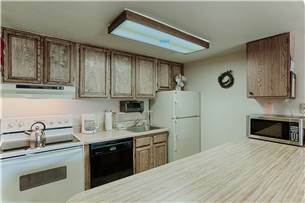 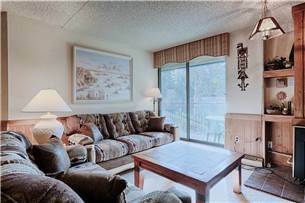 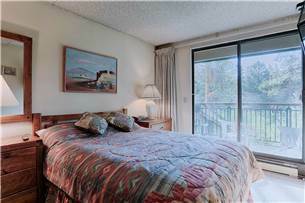 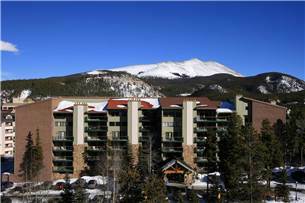 This condo is located just above the Quicksilver lift at Peak 9 and two blocks to town. 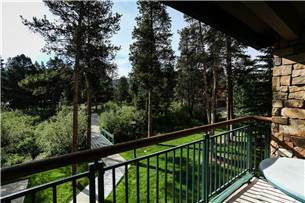 Guests appreciate the balcony overlooking the ski run. 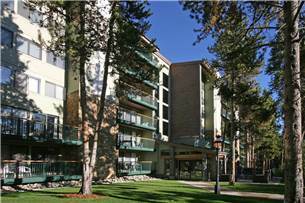 A central elevator adds to your ease of access plus a private parking spot in the underground garage. 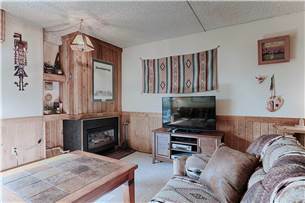 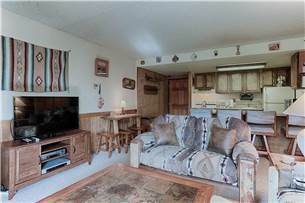 In addition to the flat screen in the bedroom, enjoy the premium cable package while watching HDTV on the large flat screen in the living area. 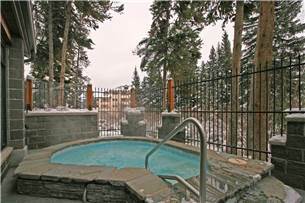 After a day on the slopes or trails relax in the indoor/outdoor hot tubs and sauna on site. 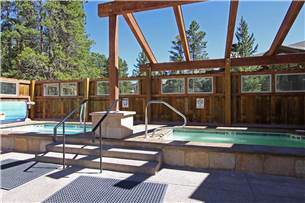 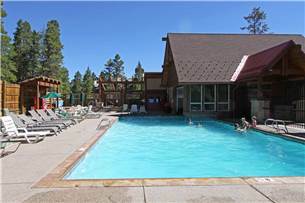 Or enjoy the outdoor pool and indoor/outdoor hot tubs across the street. 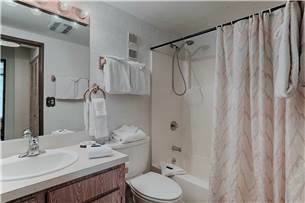 Free Wi-Fi, a garage parking spot, and laundry access are also included with your stay at Trails End.